School vacation season is almost here and my family, like many families, is so excited to welcome in the holidays and spend some extra time together. Although we will be doing our fair share of relaxing, I do not want us to fall into the boredom rut - where we all get bored, so we just sit in front of the television for hours and binge watch a new show, or get sucked into the newest video game. This is a great way to waste a perfect day that could have been filled with so much more. So how do we all avoid this rut and keep our kids engaged during their time away from school? Better yet, how do we keep our kids engaged and learning without them knowing it? This leads to bummed out kids and a guilty feeling mom. If your family is anything like mine, there is a way to keep our little ones engaged in activities that will bring your family together and cut out the screen time. I have found that less can sometimes be more. Try for one thing per day where you have a planned activity. The activity can be as simple as playing a board game or as intricate as reading a story and doing activities that correlate to the story. Both things provide an opportunity to keep your kids’ brains firing. Having only one planned activity leaves room for imagination. You will be very surprised what will come out of four pieces of wood and some army figurines. I have found that when learning comes from play, the lessons stick. 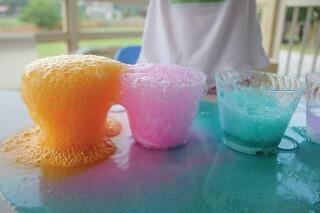 At our house, we love to do science experiments with water, baking soda, food coloring and vinegar. My kids get to mix any of the things together and find out the cause and effect while getting messy. Do this while you are cooking dinner and the conversations and excitement will overflow. I am constantly reminding myself to be open to things that are unplanned and to just listen. My kids have great ideas to share and something great always comes from them, if I am willing to listen and not rush. A perfect example of this I have experienced with my four-year-old son. I was working on preschool material with him and he was getting visibly bored. He found a tape measure on the table and asked if he could go “measure.” Instead of saying no, I said sure and gave him a pad of paper and a pencil. He went around our house for 20 minutes measuring everything and writing down the measurements. It was a great unplanned, unexpected math activity that we talked and laughed about all day. Plus, he got practice on how to safely use a tape measure. A good book with a blanket and pillow is always a good option, too. Cuddle up as a family and take turns reading or just sit together reading solo. Lorna Harriman, first grade teacher at Windham Primary School recommends the following holiday reads: “The Family Under the Bridge”, “The Best Christmas Pageant Ever”, “Mooseltoe”, “Brave Irene”, “Snowmen at Night”, “How the Grinch Stole Christmas”, or “The Snowy Day.” The Windham Public Library would be a great place to visit for a new book to read. If your kids learn better from sitting down to a worksheet, Harriman recommends the following websites, Education.com, kidzone.com, Scholastic.com, and k5learning.com, all of which offer free printable worksheets. I use Education.com regularly and really enjoy this website. Without a subscription, you can download and print up to seven worksheets per month. Whatever you decide to do, enjoy your time together. Keep a journal so you and your family can remember all of the fun you had during your school vacations. Time passes too quickly to let ourselves get sucked into too much screen time when the more valuable and important things are found in the people that surround us. Happy Holidays. 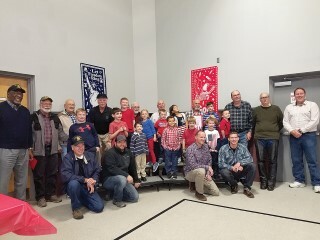 The kindergarten through first grade students at Windham Christian Academy hosted and honored approximately 20 local veterans with their third Annual Veterans’ Breakfast on Friday, November 10 from 8:30 a.m. to 9:30 a.m. This yearly event is the brainchild of first and second grade teacher, Lynn Dodd. The morning began with a Pledge of Allegiance to the U.S. Flag as well as to The Christian Flag pledge and the singing of The National Anthem. Breakfast immediately followed and was supplied by parents. Food items included: scrambled eggs, bacon, ham, donuts, pancakes, crepes, orange juice and coffee. Students sat by their guest veterans who they had previously interviewed for an assignment. Although there were many learning outcomes to this event and class assignment, the most surprising factor the students learned was that not all individuals who join the armed forces fight on the front lines. “The students were surprised to discover that most veterans have jobs such as cooks, tailors and carpenters and that they don’t necessary shoot guns,” explained Dodd. Other important knowledge gained by the students was that of social etiquette and event planning. 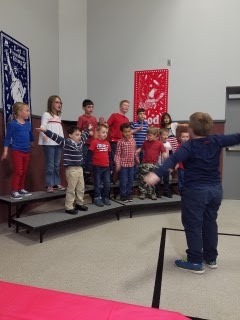 Dodd explained that all the students participated in the planning and decorating for this annual Veterans’ Breakfast Event. Once their guest veteran arrived, they met them at the door, sat at the table with them and spoke with them as one would expect of any host. One student noticed how happy the veterans seemed at being honored and given an opportunity to talk about their experiences. 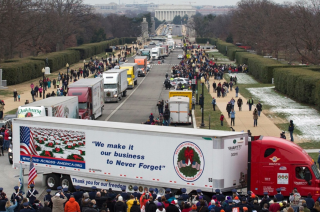 “I noticed that all the veterans were smiling,” second-grader Avery Sands observed. The students, however, were not the only ones who had insight regarding the annual Breakfast Event. Former Windham Christian Academy student, Ben Manning, who is was recently discharged from the Navy shared a thought when it was his turn to introduce himself. With that, the annual breakfast concluded with plans to host a fourth annual Veterans’ Breakfast next year. 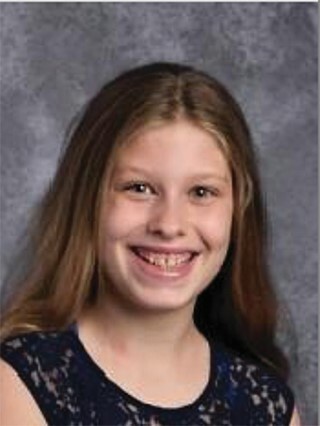 Sadie Vancelette, age 12 and a student at Windham Middle School is The Windham Eagle’s Student of the Week. The seventh grader enjoys field hockey, robotics club, Be The Influence club and sports. Vancelette states that her parents play an important role in her education because they have always motivated her to be the best she can be. Hands on learning such as her STEM and clay sculpture classes are her favorite ways to learn and she plans to attend MIT when she goes to college. Vancelette lives at home with her dad, mom, little sister and dog, Sisko. Favorite music group: I like all music.